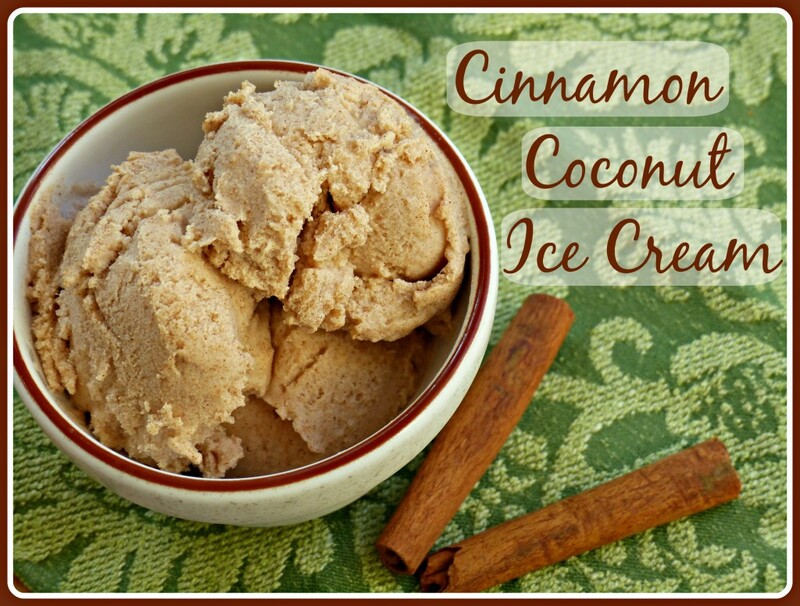 So Jesse and I have discovered a new ice cream obsession: cinnamon coconut ice cream. I mixed up a recipe on a whim a couple of weeks ago, and we were both completely blown away by how delicious it was. Jesse declared that it would go great with pumpkin pie, so then I had to make another batch to take to Thanksgiving dinner–where it did, indeed, make a fantastic accompaniment to pumpkin pie. This recipe is amazing on its own as well as with the aforementioned pumpkin pie. I also think it would go splendidly with apple-based desserts such as apple pie or baked apples. Now, onto the Cinnamon Ice Cream! Mix coconut milk, cinnamon, honey, vanilla extract and salt in a blender or by hand. Pour into your ice cream maker and process until your desired texture is reached. Serve immediately, or put in the freezer for a few hours to make it firmer. Store leftover ice cream in the freezer, preferably in a wide, shallow container to simplify future defrosting. Found this on Pinterest. The recipe sounds delicious. I've never made ice cream with coconut milk before. Will need to give this a try. Thanks for sharing this.